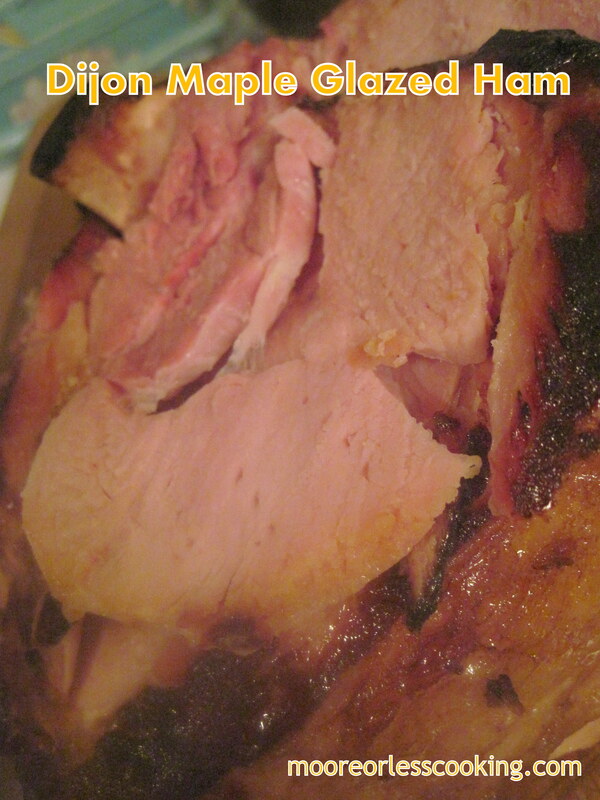 When we lived in New Jersey, we loved ordering a Spiral Honey Baked Ham for Christmas Eve. You would think hubs won the lottery with that ham. He would make ham sandwiches, lots of mustard, ham and eggs, and ham and potato soup! The recipes are limitless with a big ham. I decided to make my own ham with Dijon mustard, brown sugar and Maple syrup. It tasted just as great or even better than a Honey Baked Ham! Make one for your Christmas Eve. Better than a Honey baked Ham that you buy pre-made. Make your Christmas Eve special and serve with mashed potatoes, mac and cheese and green beans. Ahhhh….this is why my glazed hams never turn out right. I didn’t kick the heat up at the end. This sounds absolutely succulent! I made one of these last year. I left off the cinnamon and nutmeg, because I don’t like that that over the top holiday spicing, but otherwise it was fantastic.